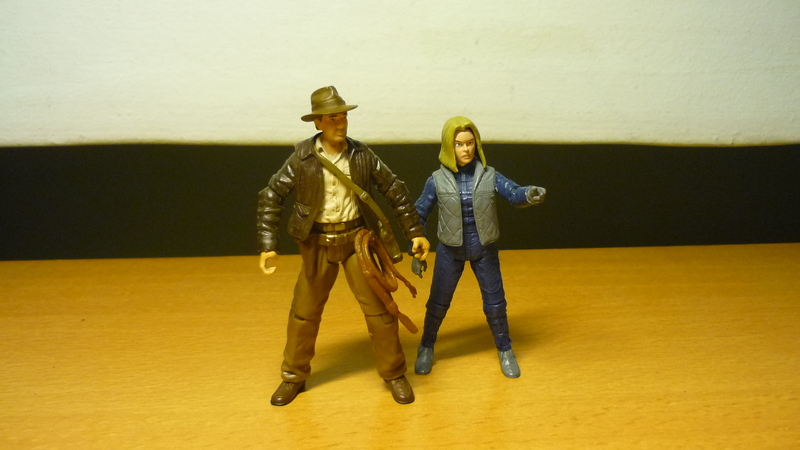 The characters from Indiana Jones Expanded Universe also interest me, and if I should come across suitable figures or custom fodder that I can use to customise some of these characters, I will gladly do so, as it was in the case here. In 1947, two years after WWII ended, Indiana Jones was on a quest to search for the legendary Philosophers’ Stone when he crossed paths with Soviet Army Major Nadia Kirov, who was assigned by the Soviet Army to recover ancient artifacts looted by the Nazis. Indy had found a part of the stone in Kiev, and later escaped from Major Kirov. Unknown to Indy, Major Kirov had let Indy go, for she was using him as bait to track down the fugitive Dr. Matthias Jäger, a mysterious Nazi alchemist who also had his own plans to use the Philosophers’ Stone to resurrect the dead Nazi army and conquer the world. 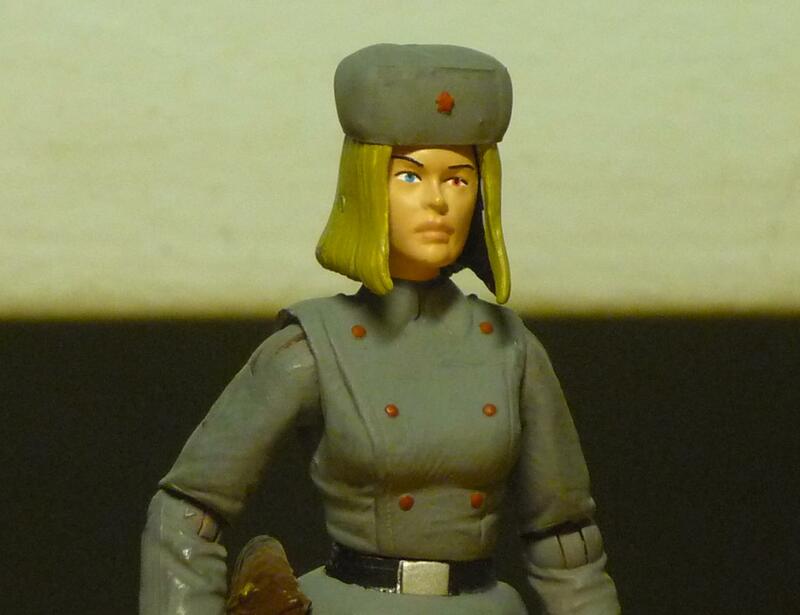 I came across a loose figure of Ysanne Isard at the CSC flea market, and realised that she was probably the only 3.75″ figure with that hairstyle, which resembled that of Major Nadia Kirov from the comic “Indiana Jones and the Iron Phoenix”. After determining that I had the other additional parts required to customise the figure, I bought the figure. The skirt came from a Thuggee Temple Guard, it was first trimmed to fit onto the existing skirt, and then pasted on using epoxy. Additional collars and buttons were added to the uniform, also using epoxy. An Indy gun holster was attached to the skirt (the gun holster didn’t always appear in the comic panels). And the hair was repainted blond. For accessory, I have created a Russian winter hat for the figure. Soviet Army Major Nadia Kirov wearing her Russian winter hat. The star on the hat came from the shoulder strap of Dovchenko. One of the many encounters between Indy and Major Kirov. 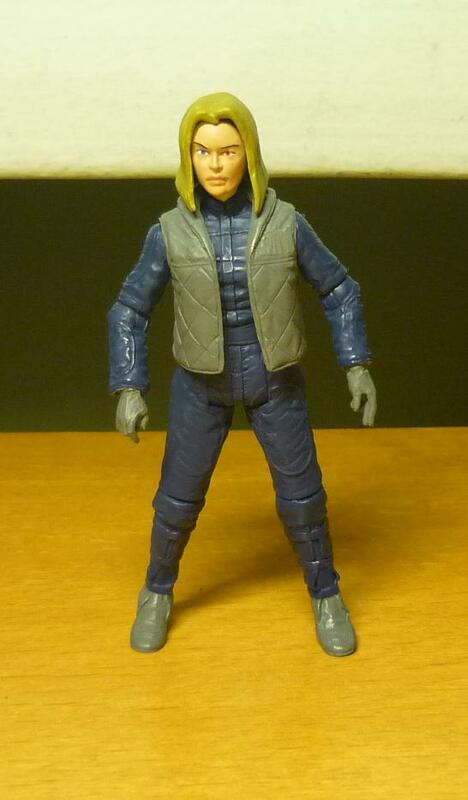 And Major Nadia Kirov comes with an alternate costume! when she goes undercover in her pursuit of Dr. Jäger. 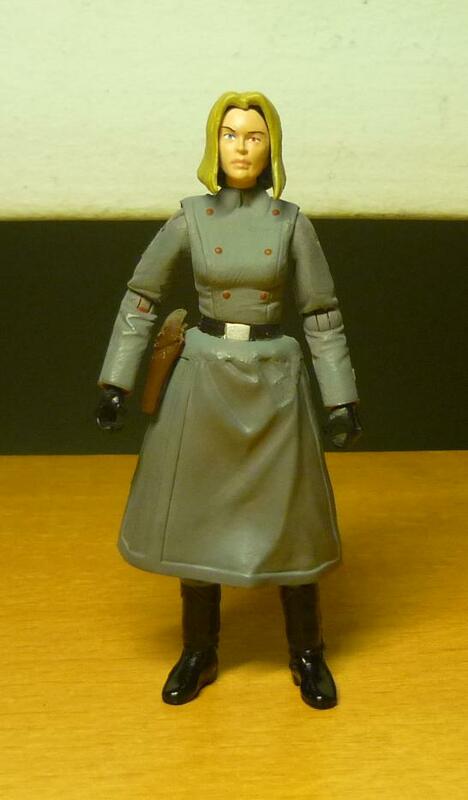 The idea to create an alternate costume for Major Kirov came when I realised I already had the parts required, having earlier used the head of Princess Leia for another custom, and the rest of the figure was just lying around doing nothing. Putting it to good use. 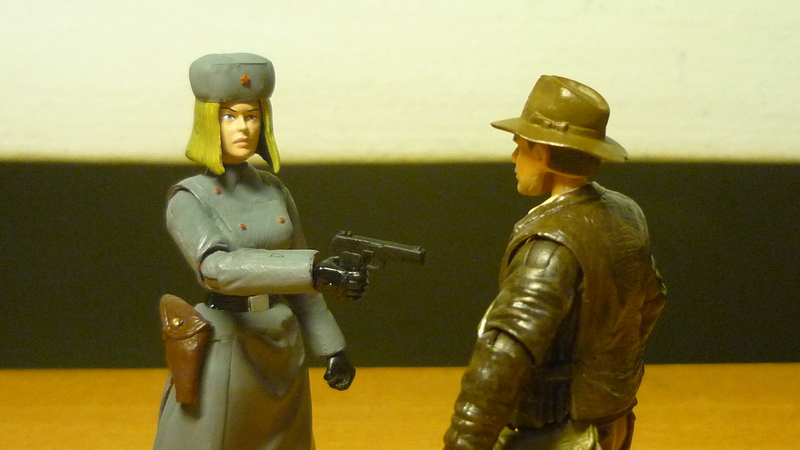 Major Kirov works with Indy to stop Dr. Jäger from raising the Nazi army from the dead. Note: “Indiana Jones and the Iron Phoenix” was originally planned to be the sequel to the game “Indiana Jones and the Fate of Atlantis”. That was until LucasArts discovered that the game’s depiction of Nazi symbols and the revival of Nazi power would have been regarded as politically incorrect in Germany (and it still is), and it would have faced distribution problems. As LucasArts wouldn’t be able to recuperate the loss from not selling the game in Germany, the game was canceled, but nevertheless the story was later adapted and published in comic form under the same title. 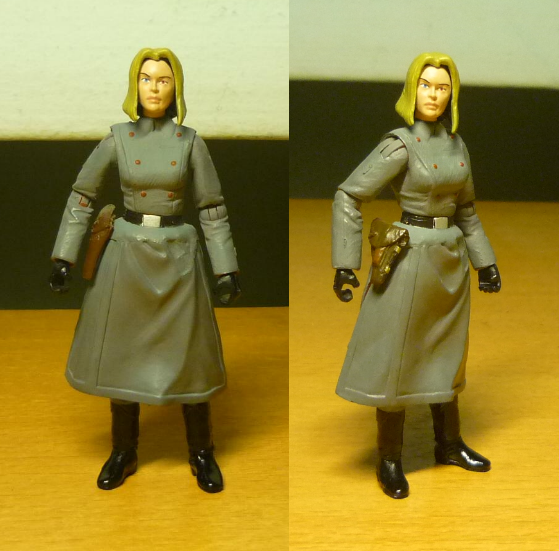 I’ve cut out the gun holster from a spare Dovchenko skirt and gave it to Soviet Major Nadia Kirov. The Soviet-style gun holster is much more accurate than that cowboy Indy gun holster originally used. I’ve finally gotten around to complete this custom Indy figure, which had been held up by work, life, movies, and other distractions. In 1936, two US Army Intelligence personnel approached Indiana Jones for assistance regarding a matter of national security. Colonel Musgrove began his briefing to Indy, and was about to go into details when his associate, Major Eaton, took over the briefing and explained that the Nazis had sent teams of archaeologists all over the world in search of powerful religious artifacts. Colonel Musgrove then took out from his briefcase a recently intercepted Nazi communique which suggest that a former acquaintance of Indy might have been involved in the Nazi effort. Indy determines from the communique that the Nazis were on the verge of finding the Ark of the Covenant, an artifact of immense power. The US Army subsequently enlists Indy’s help in going after the Ark and retrieving it before the Nazis could lay their hands on it. 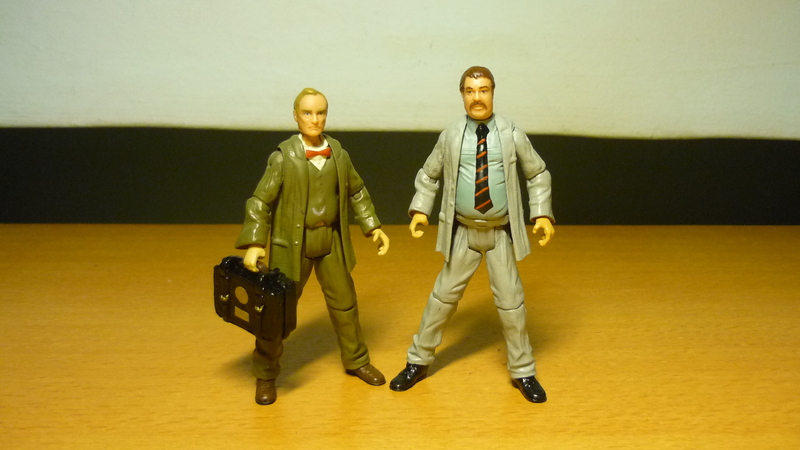 Colonel Musgrove is another one of my custom figures who wear a suit jacket. It would have been possible to use Henry Jones Sr.‘s torso for Musgrove as he already wears a bowtie and a vest. 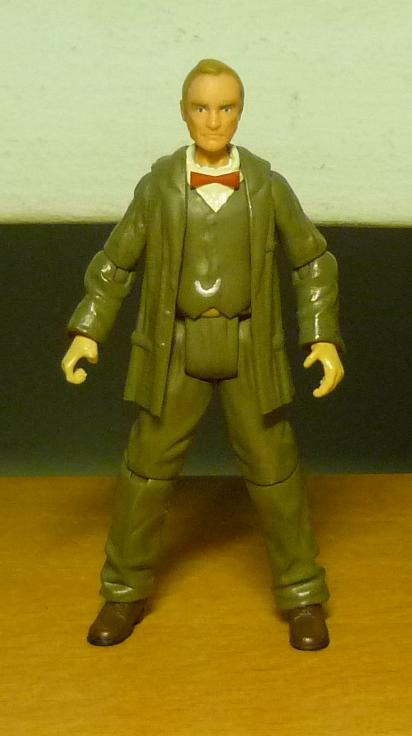 However by now the Henry Jones figure can no longer be found here, so I decided to pioneer a cheaper technique, by using epoxy to sculpt a vest onto an Indy torso, and pasting on a bowtie, which was cut from paper and similarly sculpted on using epoxy. The jacket was cut from Monkey Man‘s robes, using epoxy to sculpt the lapels and buttons. Chancellor Valorum‘s head was used as I thought he best resembled Musgrove, with his hair repainted blond. 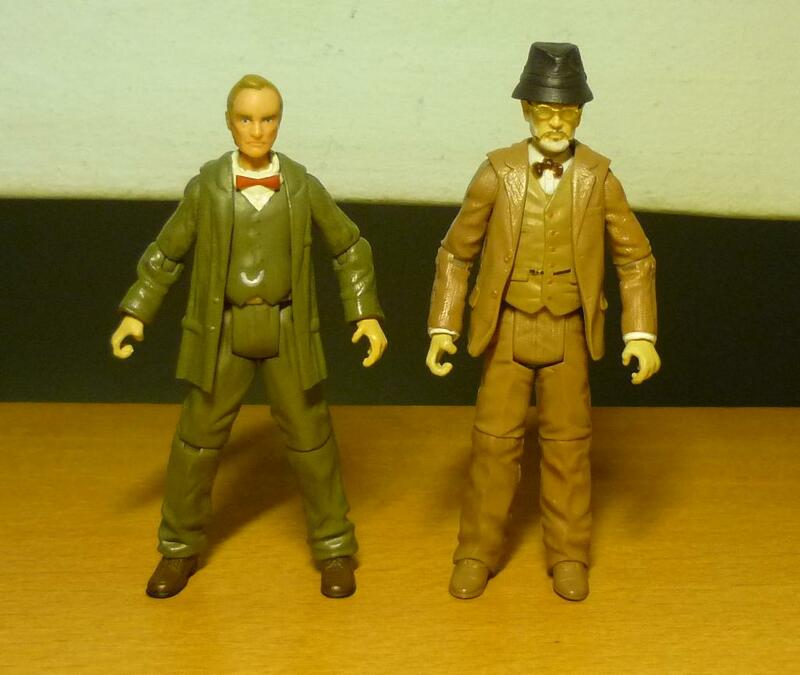 Comparison between Colonel Musgrove and Henry Jones Sr.
Now that I have tried and tested this technique for sculpting a bowtie-vest torso, I will be testing out a similar technique to sculpt a tie-vest torso, As I had found out, it isn’t always accurate to use Henry Jones’ jacket for all suit jacket figures either, but I’ll go into that in another blog. US Army Intelligence personnel – Colonel Musgrove and Major Eaton. Oh boy, here comes the odd couple. Indy and Marcus explain to Eaton and Musgrove about the lost Ark. After Indy had retrieved the Ark of the Covenant, the US Army takes custody of the Ark. 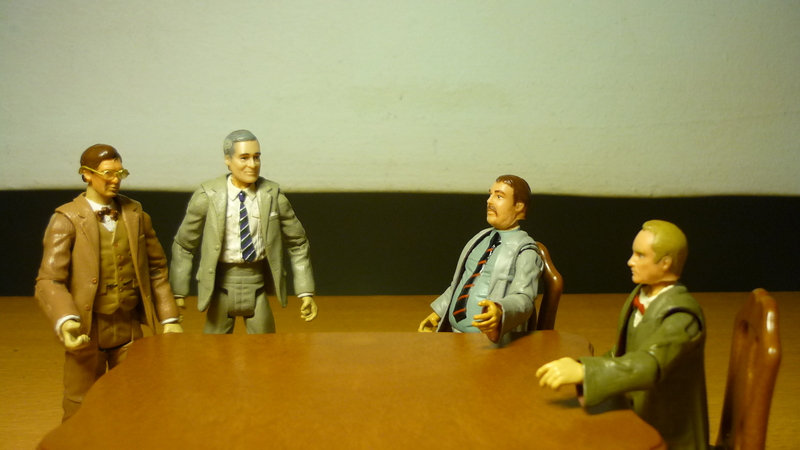 At the wrap-up meeting, Major Eaton assures Indy and Brody that the Ark was being studied by “top men”. But in fact the Ark was placed in a crate and then stored away amongst thousands of other crates in Hangar 51. Note: Colonel Musgrove returns in two Indiana Jones junior books set in 1941 – “Indiana Jones and the Pyramid of the Sorcerer” and “Indiana Jones and the Mystery of Mount Sinai”, whereby in both stories he plays his familar role of recruiting Indy on behalf of the United States government, to search for and acquire ancient powerful artifacts before they fall into enemy hands.